Golf season is in full swing. Celebrate your favorite duffer with this free funny golf award. 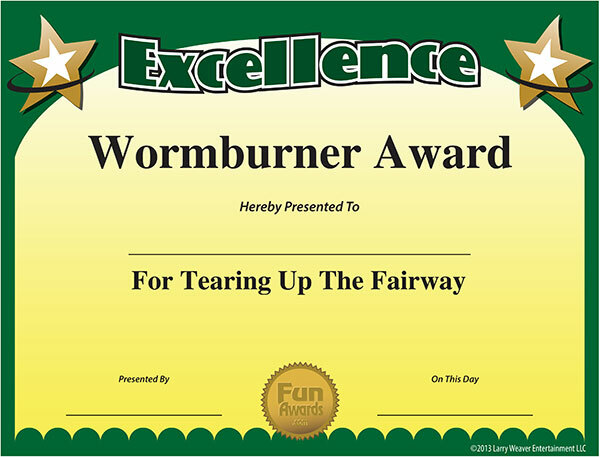 Download the "Wormburner Award" for Tearing up the Fairway! Add a certificate holder or frame to make a great gag gift for the golfer in your life. This free funny golf award certificate is available for free on our funny sports awards page. Have your own ideas for funny golf awards? Please share them in the comments section!